The portfolio committee on police has been told the Saps top brass may not have been wholly truthful in their public statement supporting now-suspended national commissioner Riah Phiyega earlier this year. Cape Town – Presenting an overview of the transcripts of a board of police commissioners meeting in Magoebaskloof in July to the committee, parliament content adviser Irvin Kinnes said the transcripts painted a picture that did not entirely match what the commissioners had told MPs earlier. 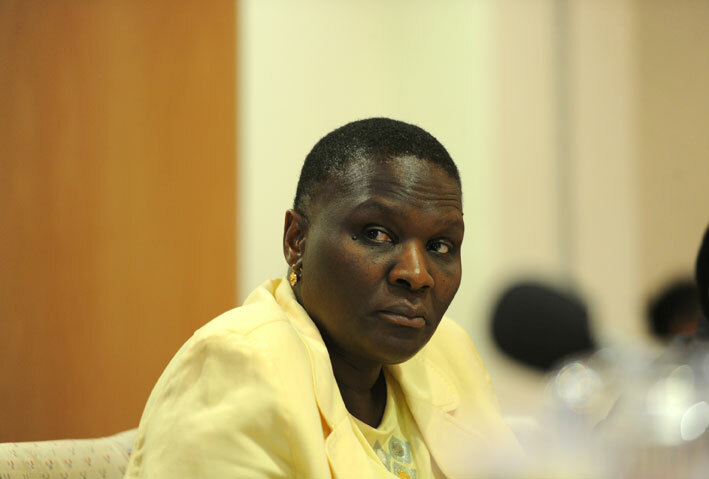 The controversial media statement was drafted at this meeting and the board later issued a collective statement in August expressing serious concern over what it said they saw as an unfair and negative attitude towards Phiyega. Chairperson of the parliamentary committee on police Francois Beukman asked if there was a “wide difference in between that which was presented at the [parliamentary] committee level and that which was reflected in terms of the discussions [in Magoebaskloof]”. In the transcripts, Phiyega had asked why the commissioners had been silent in the face of criticism and media reports that there was low morale in the police service. The national police commissioner had said: “Your silence is deafening. “Leadership is cowering under the tables at a time where – and I’m not saying fight the report – at a time where our opinion matters, our opinion is not anywhere.” Kinnes said the committee had to determine the possible errors the police had made. He said that this included whether the relevant officers had been truthful when responding to the committee; whether the documents provided – electronically and materially – verified the statements; if the officers’ conduct had been in line with good governance principles; and “very importantly”, had civilian oversight over the police been properly and correctly understood.